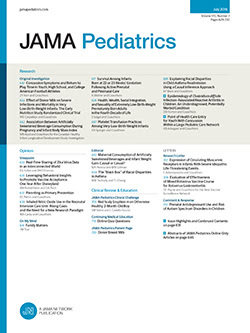 In Reply We thank Pareja-Galeano et al for their letter on the findings reported in our original investigation recently published in JAMA Pediatrics on the association between physical activity and symptoms of depression in adolescents.1 First, we would like to clarify that the measure of physical activity used was individually calibrated combined heart rate and movement sensing, not just heart rate. Second, the lack of statistically significant associations in our study was, strictly speaking, not in disagreement with the meta-analysis that showed an effect of physical activity on depressive symptoms2 because the confidence limits overlapped. What is key to appreciate is that this was a prospective and developmentally sensitive study regarding the putative causal associations between routine activity and the emergence of depressive symptoms in a random sample of community-based adolescents. Our study addressed a distinct element in the interplay between physical and mental health development compared with other intervention studies of activity on mood.